Urban Dawgs - Red Bank Dog Training | Services | Voted BEST DOG TRAINING in Monmouth County! We are pleased to serve Red Bank, NJ and surrounding areas in Monmouth County as the area's premier dog training, behavior and education resource. 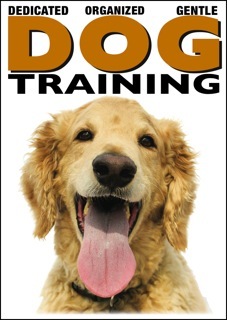 Please read our classes section for more information about our group dog training classes. With private sessions you can learn at your own pace in a comfortable environment and have the convenience of flexibly fitting training into your busy schedule. Sessions are tailored to you and your individual dog. Our Certified Dog Training and Behavior Consultants are among the foremost dog behavior specialists in the country. Using modern, reward-based techniques, we will set you and your dog up for success. Our initial 2-hour consultation includes a comprehensive evaluation of your dog's behavior, hands-on instruction to improve human timing and mechanics, custom written training plan via email, unlimited email support for 30-days, packet of training handouts and the Urban Dawgs Training DVD, Dedicated Organized Gentle™. HOW TO GET STARTED: Contact us via our online form. This will give us some basic information about you and your dog(s), your location and a brief summary of your main concerns/goals. We will send you a detailed response via email with initial recommendations, prices and a behavior history form which will help us plan for the session and save valuable session time. Once a date and time have been selected for the consultation, payment is made in advance by credit card. WHAT TO EXPECT: During the initial 2-hour consultation we will discuss your goals/main concerns, answer questions, interact with your dog and evaluate your dog’s behavior. In some cases, we will videotape the session. Unless it is safe and appropriate to do so, we will avoid having your dog rehearse the problem behavior (every time it happens, the behavior becomes worse). Don't worry, we've seen it all! We will also explain the possible causes of the problem behavior and the options available to improve upon your dog’s behavior. Quality of life and safety issues for all humans and animals involved in the household are taken into consideration. Focusing on your priorities, we'll demonstrate training and provide coaching to help you develop skills to become a more effective trainer for your dog. Before concluding, we will provide specific, easy-to-follow instructions for immediate implementation and relief and make any additional recommendations that may be needed. Follow-up sessions can be scheduled (fee applies) at your convenience for additional hands-on training/coaching. Cases involving fear, aggression, anxiety, separation distress, food/object guarding and obsessive compulsive disorders usually require more than one session. Such cases are accepted on a case-by-case basis and may be referred to a board certified veterinary behaviorist before or after the initial session. Submit our online contact form to get started! Full payment is required when scheduling services to confirm an appointment. There are no refunds for any reason after payment has been made. Service fees and group class fees are NON-TRANSFERABLE and NON-REFUNDABLE. We require 24 hours notice to reschedule private training sessions for credit towards future services. Credit is not transferable and expires after 3 months.